Although the organisms on the earth who require energy are diverse, they truly all rely on one big source: the sun. Sunlight is vital to the process of photosynthesis performed by plants which supplies oxygen and glucose needed for the survival of all living beings on the Earth. Living things are organisms which exhibit characteristics of life. These features include the abilities to grow, reproduce, move, metabolize, respire, respond to stimuli, and adapt to the environment. For an organism to be recognized as a living thing, it must take in energy and use it to sustain life. Energy is thus critical for the survival of living organisms. Bacteria, animals, human beings, plants, and fungi are some examples of living things. The sun is the source of energy in a given ecosystem. 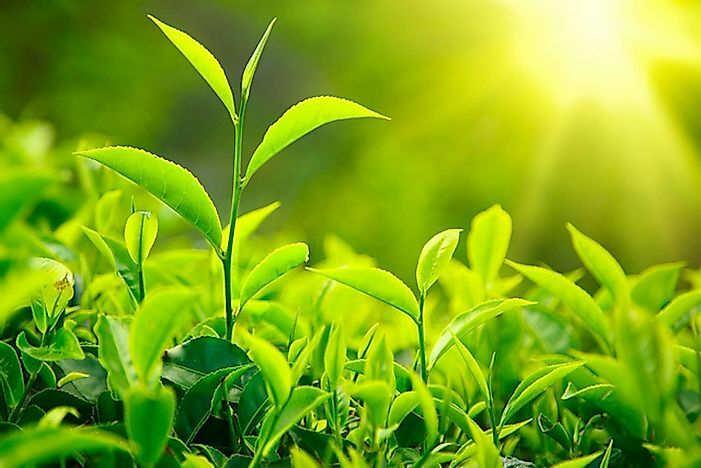 Solar energy is captured by plants to fuel the process of photosynthesis. Photosynthesis is the process of transforming of carbon dioxide and water to glucose and oxygen. An amount of the energy used to drive this process is stored in the glucose molecules. Organisms, in turn, feed on plants and break down the glucose to release the stored energy. The released energy is utilized by the cells in making the chemical adenosine triphosphate (ATP) in a process of cellular respiration. Since energy is released during the process, it is an exothermic type of reaction. The cells break down the glucose to its original elements, which are carbon dioxide and water. Cellular respiration is, therefore, the opposite of photosynthesis. ATP is the energy currency for cells meaning it fuels the cells to carry out their work. The carbon dioxide released travels through the bloodstream of human beings and animals, and it is exhaled through lungs or gills. Plants expel the carbon dioxide through stomata (pores). An ecosystem typically features primary, secondary, and tertiary consumer, where each group feeds on the preceding one. Energy is thus transferred between organisms on the food chain. When a living thing dies, its energy is harnessed by decomposers. Most of the energy gets lost, however, and as it moves through the food chain only a small percentage reach the tertiary consumers. Living forms are recognized as autotrophs or heterotrophs in accordance to how they obtain energy. Autotrophs, also referred to as self-feeders, have the ability to create their ‘food’ by harnessing energy from the sun or thermal energy derived from the earth. In an ecosystem, autotrophs are the producers of energy and are thus crucial in any food chain. Members of the Kingdom Plantae are the best examples of autotrophs. Some bacteria species have been found to make food from inorganic compounds such as sulfur as well. Heterotrophs lack the ability to generate their food and rely on autotrophs. By feeding on carbohydrates made by autotrophs, heterotrophs obtain energy to sustain life. Animals, human beings, and fungi are included in this group. Another group called mixotrophs can perform autotrophic activities and also rely on other organisms for energy. Living things are made up of millions of cells which perform various functions in the body such as repair, growth, and movement. All chemical processes taking place in cells are summed up as metabolism. If metabolism stops, the living thing subsequently dies. Energy is, therefore, critical to the sustenance of life for all life forms.